Nothing says New York City without the robust advertising and brand awareness as seen on any of the streets. Do you want a new offer, product or event to catch the eye of the millions of people walking by your piece of the big apple? 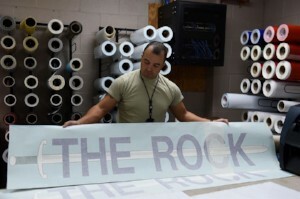 The options for wide format decals are too broad to explain here, so give us a call or stop by today, and we’ll set you down the right path. You can also get a quote by uploading your files to us directly over this website!